My grandmother grew rhubarb in her garden. I always thought of it as a summer vegetable, but thanks to greenhouse production I grabbed some from the grocer the other day. Rhubarb’s an odd cross between celery and strawberries. Only the red stalk is edible, the leaves are toxic. 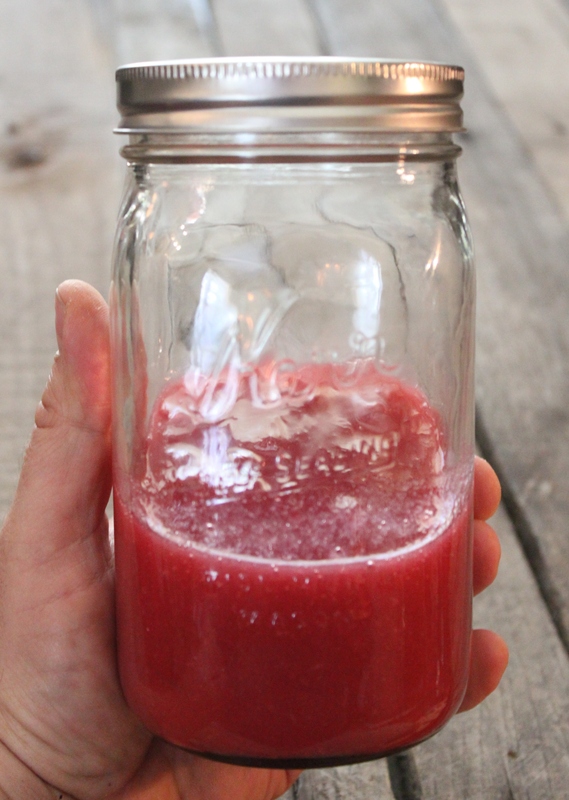 I can’t remember what my grandmother made with it – maybe one of my family members will – but I do remember that my grandfather used to make rhubarb wine. 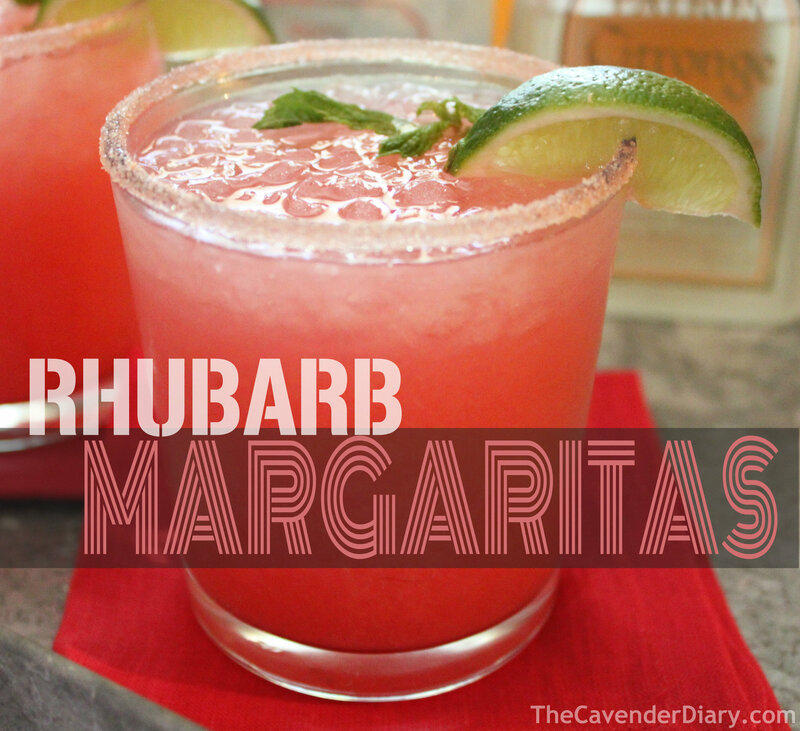 So rhubarb margaritas seems right in line with the family history. 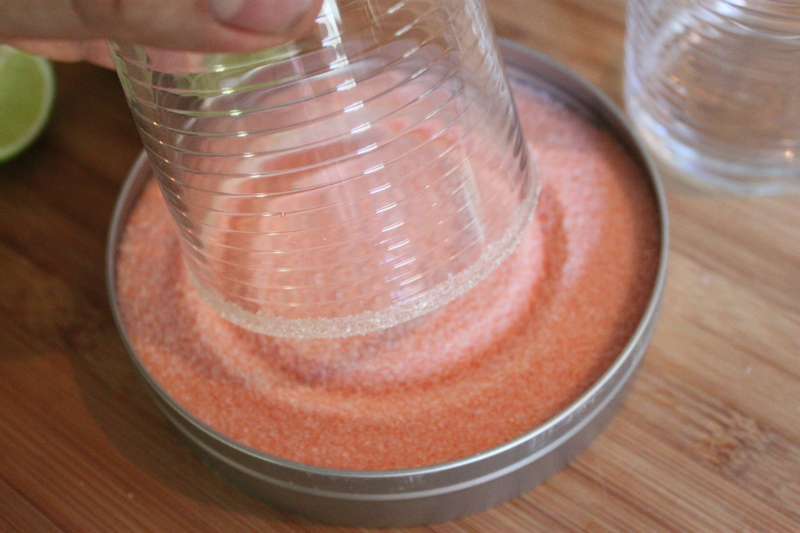 You need to start with a simple syrup…..which is exactly as it sounds, simple. To make the simple syrup, bring 2 cups of water and 1 cup of sugar to a boil in a medium sauce pan stirring constantly with a wooden spoon. 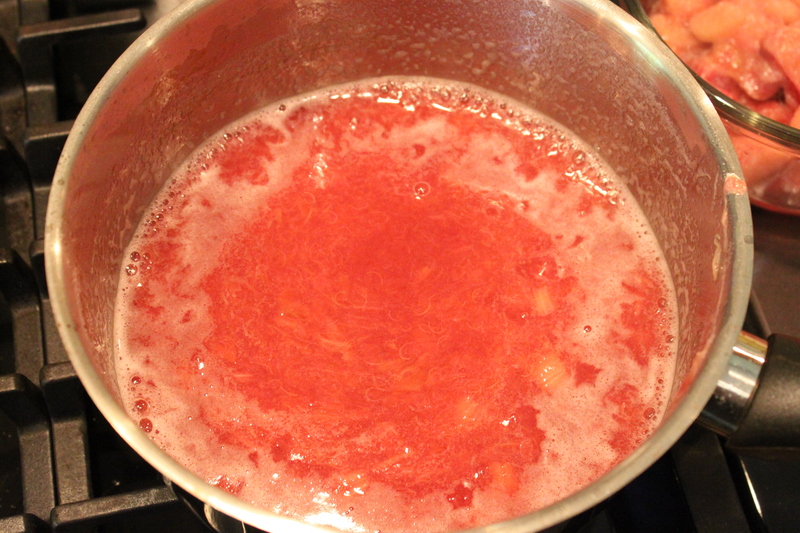 Once the sugar mixture reaches a boil, add about a cup and a half of diced rhubarb pieces. I threw in a few lemon slices too. Continue to stir until the fruit starts to fall apart. 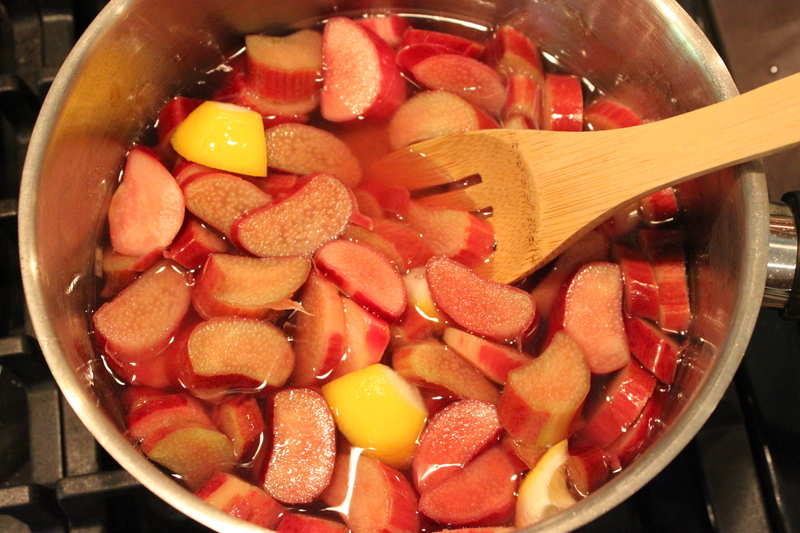 Use a slotted spoon to remove as much of the rhubarb as you can. But not everything, a few chunks are ok.
Continue stirring on high heat until the water starts to evaporate and the syrup thickens. It won’t take long. 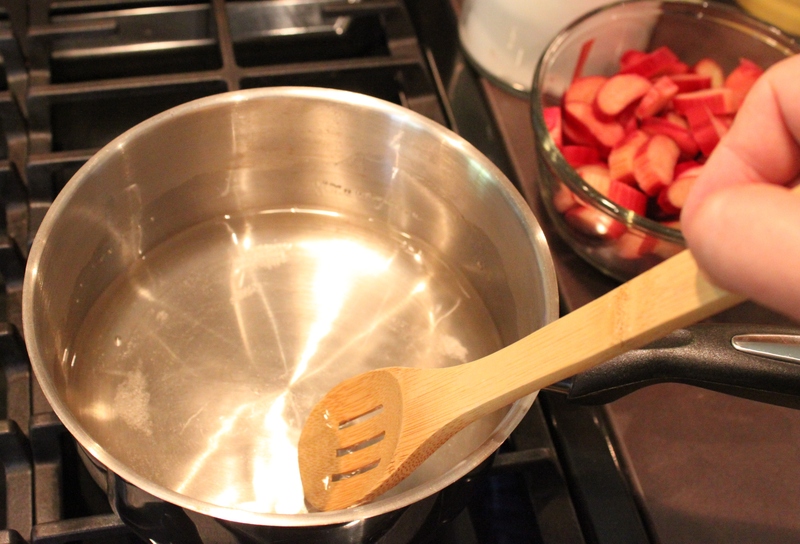 When it’s thick enough to coat the wooden spoon, remove it from the heat and let it cool completely. This will last in the ‘fridge in a Mason jar for a few weeks, and y’all can pour it over vanilla ice cream, or pound cake. 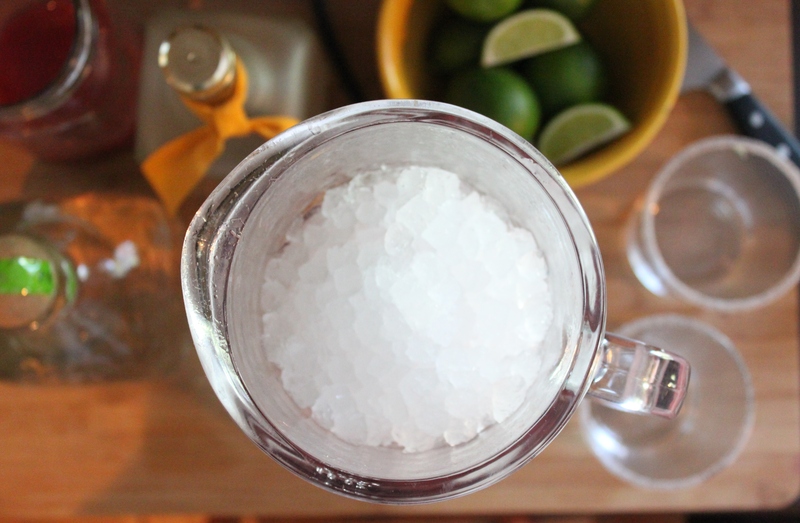 Mix a spoon-full with a glass of champagne….OR use it for the most delicious margaritas. I think you know where ours is headed. 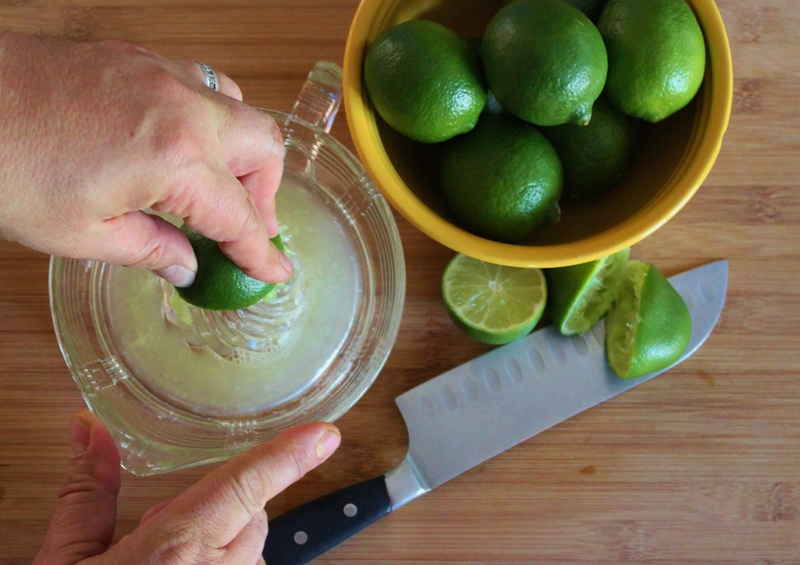 Pulse once, then pour into the rimmed glasses and garnish with limes and mint. Makes about 2. One for you and one for a friend. Because no one should drink margaritas alone. Ohhhh, and Happy Cinco de Mayo! My parents still grow rhubarb. Rhubarb custard pie is the best. 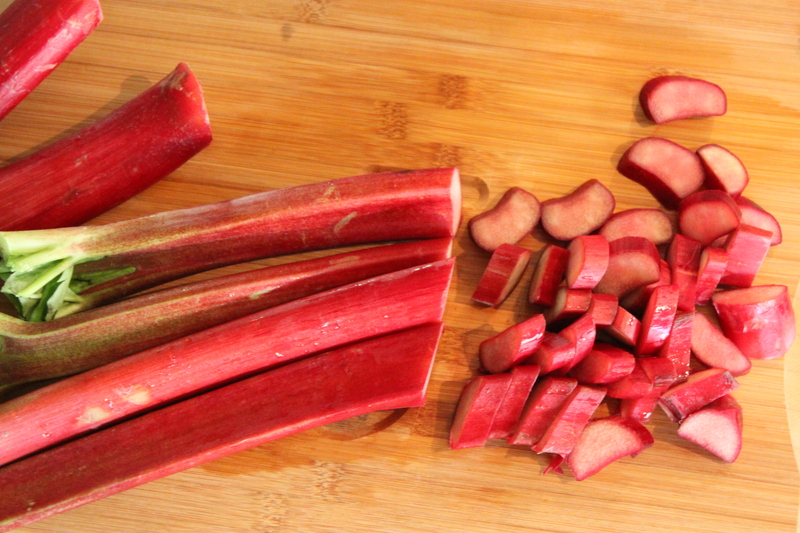 We also make rhubarb sauce. This year I am going to try rhubarb bounce. I knew that one of y’all would have some suggestions. We have a restaurant here that makes strawberry/rhubarb preserves…..
My Mum and Dad grow it too, and since they are in the Southern Hemisphere, I think you’ve just pointed me in the direction of our new Christmas drink! My Mum used to turn it into Champagne, I like it best roasted with sugar (don’t let it get dry) and served with thick plain yogurt. Cheers!